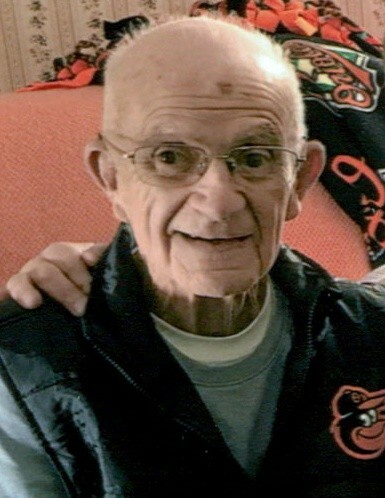 Harry Lee DeBaugh passed away on February 11, 2019, loving husband of the late Mary Jane DeBaugh; devoted father of Janet DeBaugh, Carol Price and her husband Lonnie and Sandra Hudak and her husband Christopher; cherished grandfather of Lonnie and his wife Stephanie, Nicole, Brianna, Amanda and Morgan; beloved great grandfather of Parker. Also Survived by many other loving relatives and friends. Family and friends will honor Harry's life at the family owned Evans Funeral Chapel and Cremation Services – Parkville, 8800 Harford Road, with a Receiving of Friends on Monday, February 18, 2019 from 3-5, 7-9 P.M. A Funeral service will be held Tuesday, February 19, 2019 at 11AM. Interment to follow at Dulaney Valley Memorial Gardens. Memorial contributions in Harry's name may be made to the Fallston Animal Rescue Movement.